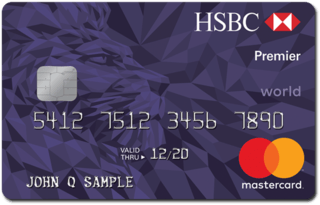 HSBC Premier Mastercard is typically available to those with good credit scores (650 or greater). Yes Have a minimum personal income of ₹400000. - 1.5% cashback on international spends. Limited to Rs. 10,000 per calendar year. - 2.5% Fuel surcharge waiver on every transaction of Rs. 400 - Rs. 4,000 (A maximum surcharge waiver of Rs. 250 per statement cycle).